On the morning of May 18, 2017, three snow leopard cubs were born to the Zoo’s seven year old female “Ena” and dad “Kota”, our 13 year old male. Ena arrived from the Tama Zoo in Japan in 2016 and she is showing incredible maternal instincts for a first time mom. All three cubs have been observed nursing very well and they will continue to be monitored via camera by Wildlife Care staff. The Toronto Zoo is participating in a snow leopard conservation breeding program through the Species Survival Plan (SSP) program. The snow leopard is classified as Endangered by the Convention on International Trade in Endangered Species of Wild Fauna and Flora (CITES). For the first time in the Zoo’s history, two clouded leopard cubs were born on the afternoon of Saturday, May 13, 2017 to mom “Pavarti” and dad “Mingma.” Pavarti was born on April 30, 2013 and Dad was born on February 2, 2013, both at the Nashville Zoo. Pavarti is a first time mom and while she showed early signs of having maternal instincts, she started spending less time with her cubs and could not be observed nursing or mothering them. Wildlife Care staff monitored them by camera throughout the night and the cubs were checked by a veterinarian on Sunday who provided the cubs with fluids to help them through the critical first 24 hours. Wildlife Care staff and the vet continued to monitor the cubs and a decision was made on the morning of Monday, May 15, 2017 to move the cubs to the intensive care unit (ICU) in the new state-of-art Wildlife Health Centre to provide them with the neonatal care they required and give them the best chance at survival. They are currently stable and will continue to receive 24/7 care. With their impending births, and based on the advice of clouded leopard experts, the Zoo had developed a hand-raising protocol based on best practices from other zoological institutions as clouded leopards. The Zoo initiated this protocol when the vet determined the cubs were experiencing failing health. 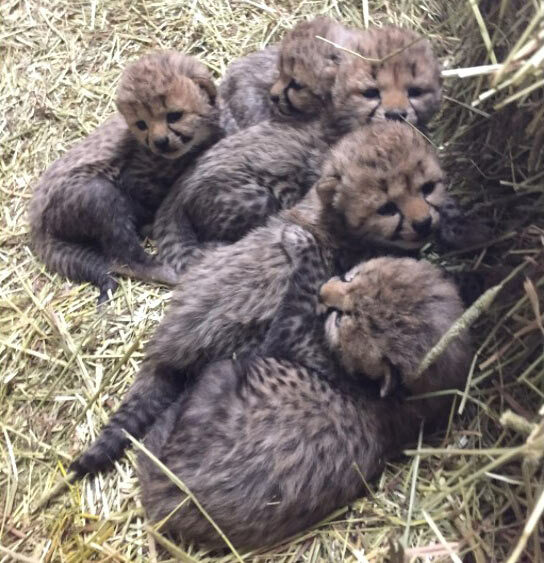 On April 30, 2017, between 6:53am and 9:13am, five cheetah cubs were born in the Zoo’s off-exhibit cheetah breeding area to mom Laini (4 years old) and dad Patonga (8 years old). Cheetahs typically give birth to 2-4 cubs, although litters of up to eight have been recorded. Laini is doing a superb job of caring for her large litter – which is also her first. Laini came to the Toronto Zoo from Parc Safari as part of a co-operative conservation breeding program. The arrival of these cubs brings the number of cheetahs born at the Toronto Zoo to 53. Our last cheetah cubs were born in September 2009, and in the intervening years we have been collecting data on cheetah reproductive hormones and developing techniques for artificial insemination with this species. In addition to conservation research, the Toronto Zoo and Toronto Zoo cheetah keepers support cheetahs in the wild through partnerships with the Cheetah Conservation Fund. Cheetahs in the wild are declining rapidly, with estimates putting the world population at somewhere between 6,000 and 9,000 individuals. “We are absolutely delighted about these new arrivals, and for the clouded leopard cubs, our joint Wildlife Health and Wildlife Care team are working around the clock in the new ICU to help ensure they continue to thrive,” said Dr. Chris Dutton, Toronto Zoo’s Chief Veterinarian. Franke, Curator of Mammals at the Toronto Zoo”. “With the continued decline of biodiversity on this planet, we are partnering with numerous organizations and constantly focusing on saving species in the wild through conservation breeding programs and the Toronto Zoo Endangered Species Reserve Fund,” she added. The Toronto Zoo is participating in a clouded leopard, snow leopard and cheetah conservation breeding programs through the Species Survival Plan (SSP) program. The Toronto Zoo exempt staff is committed to providing care to the animals during the strike by CUPE Local 1600 members. Staff are working under the supervisor of Wildlife Care experts, veterinarians, and curators and we want to assure everyone that these animals continue to receive great care during this difficult time. 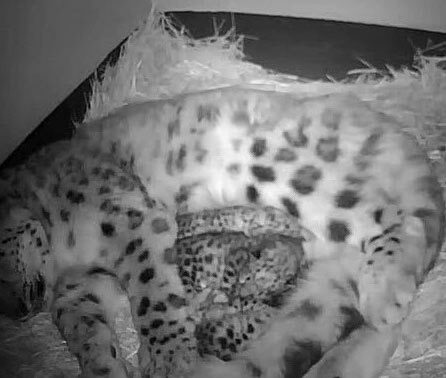 Please note, these cubs will not be visible to the public for a few months as the snow leopard and cheetah moms are off-exhibit while they care for their babies. 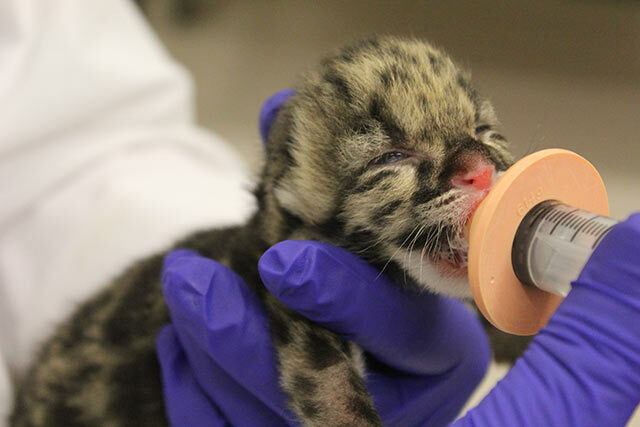 The clouded leopard cubs will remain in the ICU of the Wildlife Health Centre as they will require ongoing care.